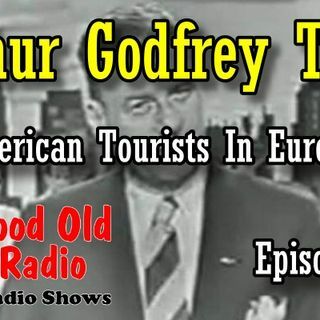 Today we feature The Arthur Godfrey Time: American Tourists In Europe. sometimes introduced by his nickname, The Old Redhead. ... See More An on-air incident undermined his folksy image and resulted in a gradual decline. but, by the early 1960s, his presence had been reduced to hosting the occasional TV special and his daily network radio show, which ended in 1972. Godfrey terminated his relationship with the company after he quit smoking, five years before he was diagnosed with lung cancer in 1959. Subsequently, he became a prominent spokesman for anti-smoking education.